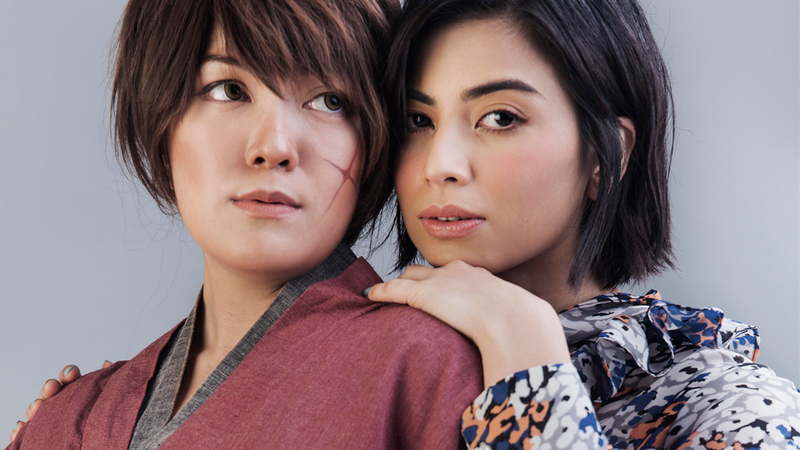 The cosplayer talks to Preview about the beauty of being yourself. 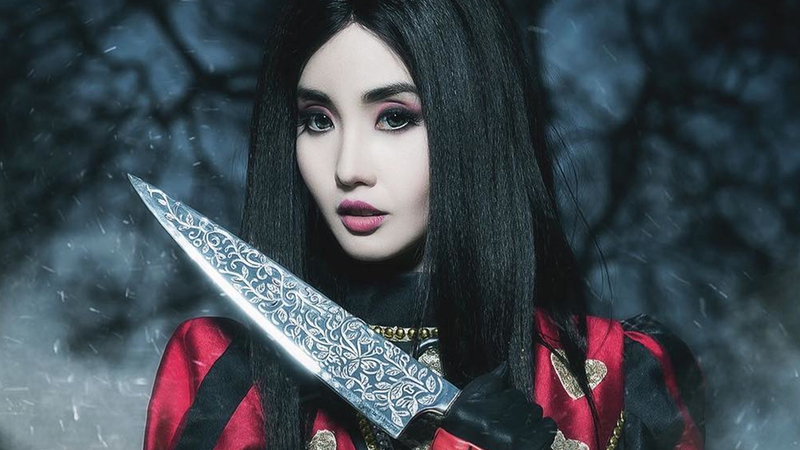 “I think it started when she was having Disney-themed birthday parties as a child,” says Jing, mother of Alodia Gosiengfiao, on how her daughter’s penchant for costumes started. That, plus Japan’s soft power through video games and anime urged then-15-year-old Alodia to play characters from G.I. Joe to Final Fantasy. Hailed as the Philippines’s “cosplay queen,” she is the default icon of a niche yet burgeoning group of cosplayers or anyone Japanimanic. Alodia’s appeal, however, transcends these so-called otakus (obsessives) to make her one of the biggest and most-watched online celebrities. And since we're in the age where "geeks rule the world," we sit down with Alodia for a round of Preview's iconic 25 Questions. Once. Then I check Twitter and Facebook, then I get up. HOW LONG DO YOU SPEND IN THE BATHROOM IN THE MORNING? About 30 minutes. I don’t really want to take that long since I’m almost always in a rush. Cinderella. I’m always home (early) except when I have tapings, shoots, and events. Entertainment. It’s nice to see the colorful pages of fashion and the new movies coming out. Chocolate Truffle. Though I’m not too fond of ice cream—I really love chocolates! 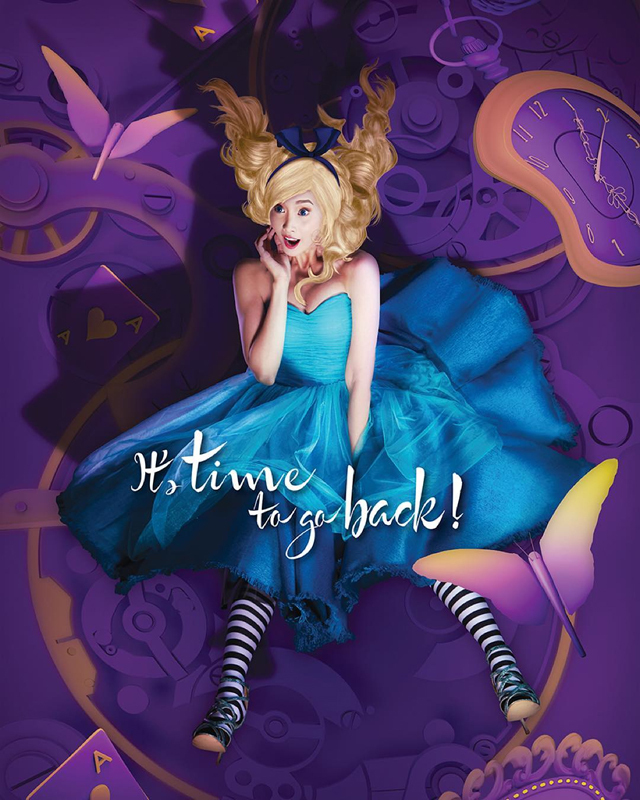 Alodia as Alice in Wonderland for a Disney calendar. HAVE YOU EVER CHEATED AT SOLITAIRE? I can’t remember; I haven’t played that game in years...ever since it was playable on the PC. Not really, because I’m not too familiar with it; but since we’re part Chinese, we respect it. Our house was actually built with feng shui elements because our family believes that it’ll bring good luck. One hundred in one go. I used to do more when I was part of the cheerleading team back in high school. WHAT IS IT YOU LOVE ABOUT YOUR LIFE? I love that I’m doing what I love. I’m also blessed to have such a supportive family and longtime friends who understand what I do. Iron Man. He’s amazing because he can make whatever he wants to make. Genius! CAN YOU DANCE THE SWING? Yes. When we did a dance concert years ago, I was assigned to dance ballroom. About two to three days for college thesis. Obviously, a deadline is a deadline and I didn’t want to submit late. Sisig, bagoong rice, and kare-kare. These make me so happy, but then again, they would ruin my diet! About 5-10 lbs, but it’s more of toning. I need a little more muscle. Alodia poses with some of her iconic costumes. Toxic by Britney Spears. It’s hilarious! You should watch me do it. On second thought, never mind. HOW MANY HOURS CAN YOU WALK IN 5” HEELS? It depends on the kind of shoe and my outfit. If I have to be in it the whole day, then I should. I put a lot of Band-Aids and masking tape to ease the pain. Preoccupy yourself with the things you love; sometimes strong emotions inspire you to make something great and meaningful. Eating Pinoy food with my family. If possible, by the beach or a place with a nice view. 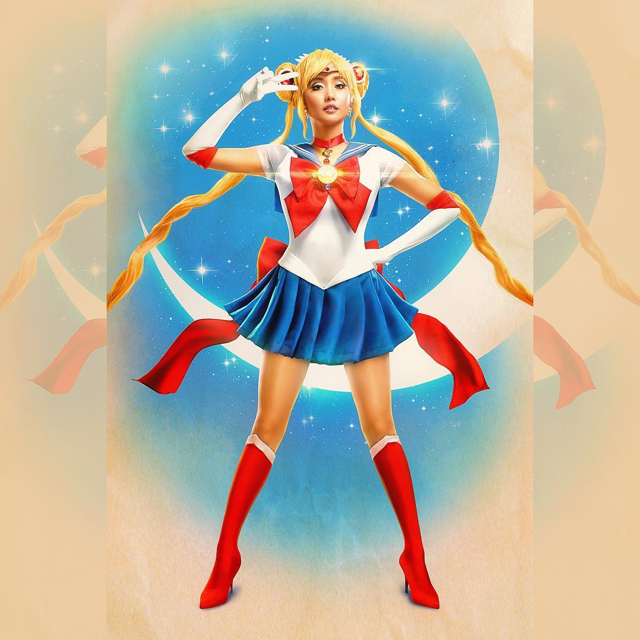 As everyone's favorite pretty sailor soldier Sailor Moon! I would like to say my life, but I’d love to witness the world at peace. Then I’m good, and I can go. WHAT’S THE APPEAL OF COSPLAY? You need to check it out before shunning the idea. Normally, people go to parties with themes like the ’70s; cosplay is pretty much the same. WHO’S THE MOST MEMORABLE CHARACTER YOU’VE PLAYED? Amaha Masane from WitchBlade. 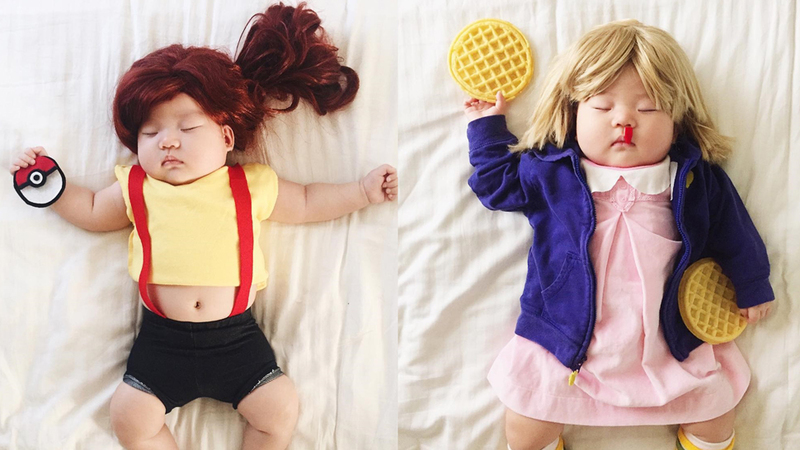 It took us more than a month to get the costume and skit ready. I’d be in the game industry as a character-concept artist. I have so many ideas and I’ve been drawing them ever since I was little! This article originally appeared in the August 2011 issue of Preview. You can downlaod back issues of Preview here.